Manufacturing, delivery and installation of 3 booster sets for a pumping station in Buchim mine – Radovish, Macedonia. 3 booster sets (consisted of 4 vertical multistage centrifugal pumps each) were installed in order to protect the environment from the polluted water that is generated by the mine’s work. They have a capacity of 50 l/sec (set 1 and 2) and 30 l/sec (set 3) of polluted water accordingly. 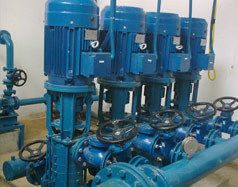 Each pump can pump water to an elevation of 124m, where the polluted water is accumulated. Booster set of 4 pumps x 1 piece – HS 13MSS65-6, Q=30l/sec, H=124m. 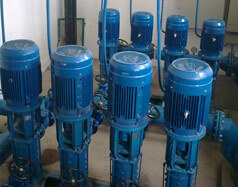 Each pump is Multistage centrifugal vertical version, and has Q=7,5l/sec, and operates at speed n= 2900rpm.